Gibbs, likewise, is in an interesting situation. He’s one of the goods guys (of course) but is forced to go head-to-head with another good guy – or, in this case, girl. 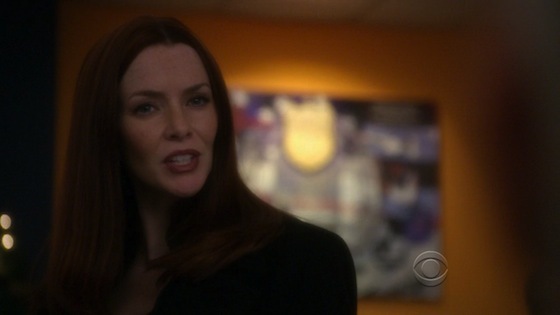 I’m talking about District Attorney Gail Walsh, played pitch-perfect by the extremely talented and stunningly beautiful, Annie Wersching. And a red head, no less! Like Michael, her on-camera performance was nearly rivaled by the hysterical one-liners that would fly from her lips after the director yelled cut. I had no idea how funny she was. Annie’s episode of NCIS was viewed by a whopping 19.8 million people, posting the best ratings for NCIS in weeks and winning the night for CBS. The episode also came in first place on TVGuide.com’s “Top TV show check-ins” for 2010.